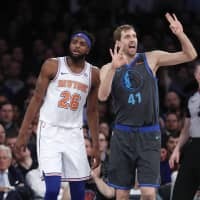 NEW YORK - Dirk Nowitzki has been coming to Madison Square Garden for about two decades, scoring better there than at any road arena. 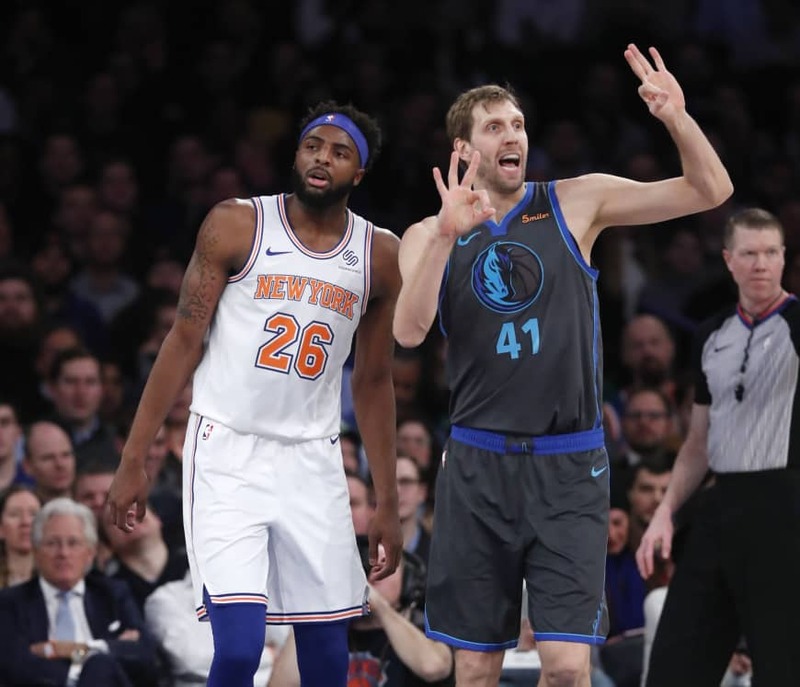 Dennis Smith Jr. had his second career triple-double, and Harrison Barnes led the Mavericks with 19 points, but most of the focus was on the team’s star rookie and 21-year veteran. The 19-year-old Doncic also grabbed eight rebounds and made two 3-pointers. The Knicks (10-40) lost their 11th in a row, though at least gave home fans something to cheer by giving Enes Kanter some playing time. Kevin Knox scored 17 points and Trey Burke had 16 for New York, while Kanter had five points in nine minutes. In New Orleans, Nikola Jokic had 20 points, 13 rebound and 10 assists for his eighth triple-double of the season and Denver beat the undermanned hosts. Malik Beasley scored 22 points and Monte Morris added 20 to help the Nuggets win their fourth straight. In Minneapolis, Karl-Anthony Towns hit a buzzer-beating desperation shot in overtime to lift the hosts past Memphis.